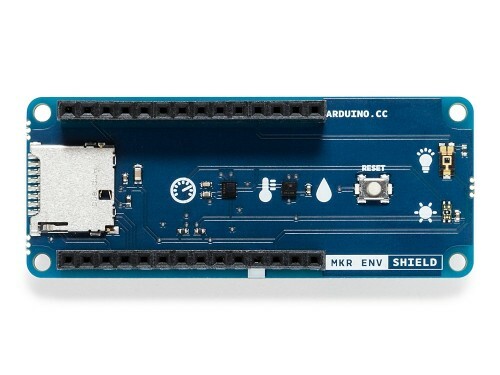 The MKR ENV Shield allows a MKR board to acquire environmental data collected by an array of sensors. 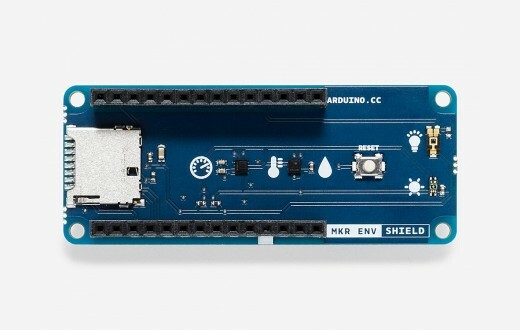 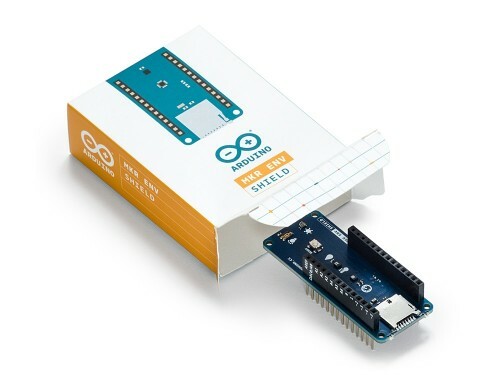 To help you build projects and store the data collected locally, this shield has a slot for a microSD card (not provided). 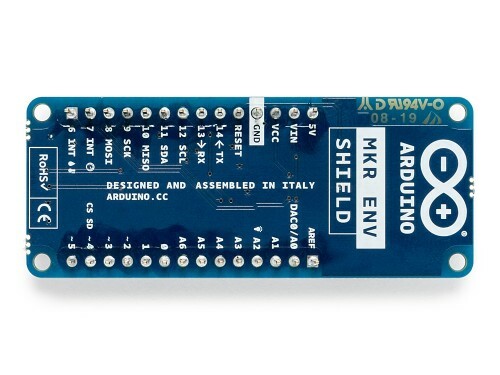 There is a ready to use library with examples and methods to read values from the different sensors, that provides an easy and smooth integration path. 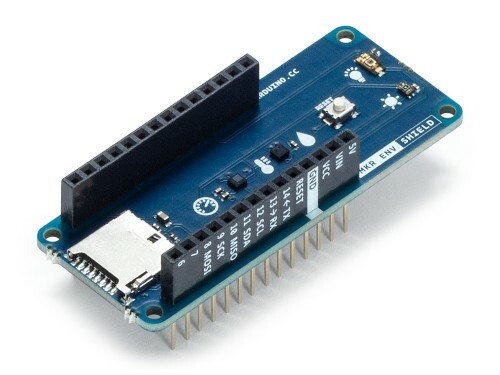 VISHAY TEMT6000 : Lux of the ambient.